The three great ridges that give access to the “Giant of the Alps” from the south face. A unique and grandiose setting, the one of Mont Blanc, between majestic and legendary places. Spaces perched in the most remote corners of its massif. A site ethereal and fascinating, but very severe. Spaces of great emotion, where you can find the most elegant and aesthetic routes of the most prestigious alpinism. 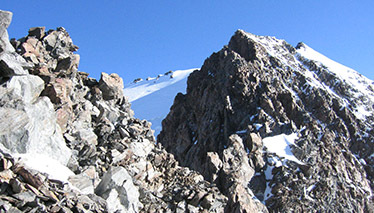 Three climbs reserved only for expert mountaineers, to reach the highest peak of the Alps from the south side. Peuterey Ridge, Innominata Ridge and Brouillard Ridge. 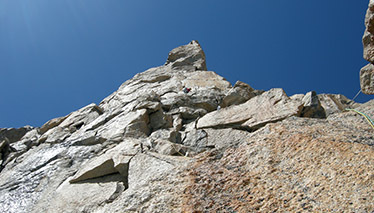 These three routes are a dream for many enthusiast mountaineers. But only very few can afford to include in its ownto their mountaineering curriculum. 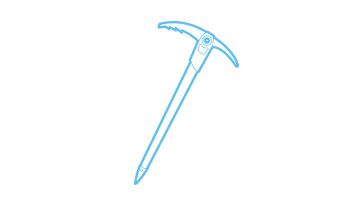 Routes that require remarkable physical and mountaineering skills, as well as great technicality and preparation. Never banal routes in the climbs and equally ingenious even in the descents. Passages that enable you to better appreciate the extraordinary and rugged beauty of untrodden paths, above the clouds, where isolation is real. 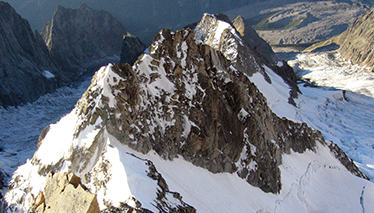 On the trail of the legendary alpinism. Climbing the Brouillard Ridge is an all-time classic; a very long ascent in a wild, isolated setting at the heart of the Mont Blanc massif. 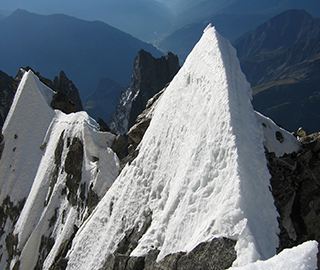 Without a doubt, Peuterey Ridge the most prestigious of the ridge routes to the summit of Mont Blanc!